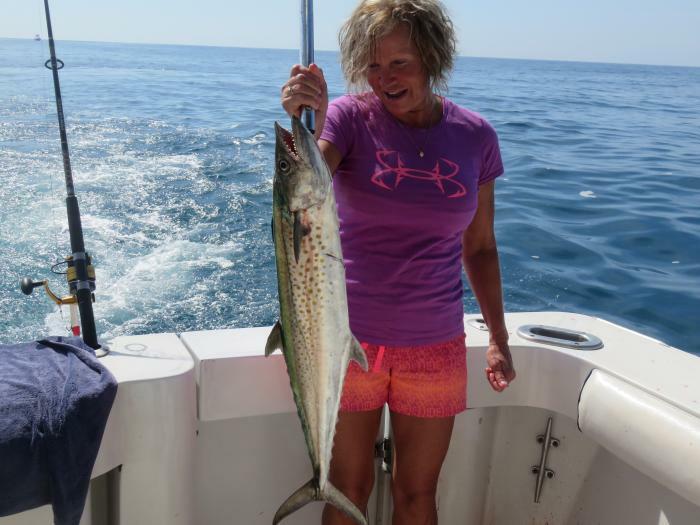 Quepos Costa Rica fishing charters offer much to the visiting angler. 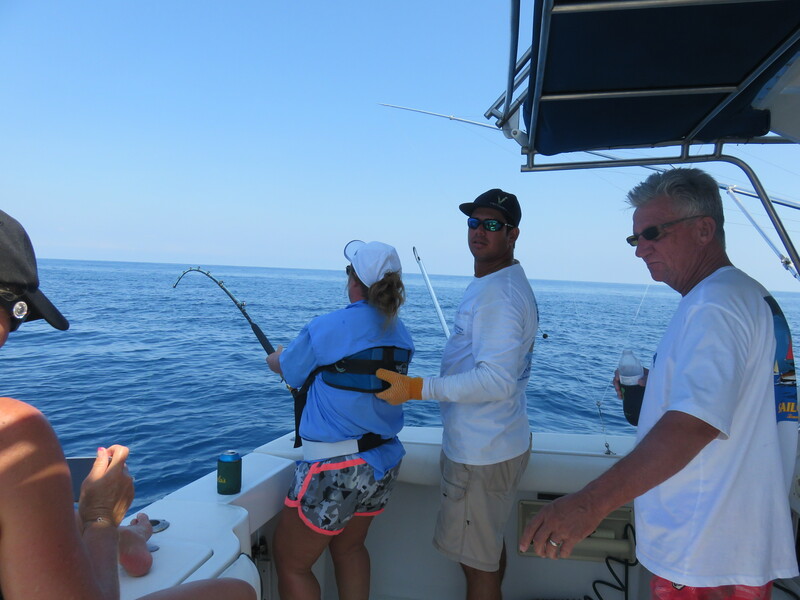 Not least is year-round fishing charters, although some months have higher concentrations of particular billfish species than others..
You have arrived at one of the planets best locations for Billfish and Big Game fishing. Anywhere from 12 to 35 miles out you will run into the “blue water” line where the magic happens. This line moves in and out with the currents and the big fish follow. Once the crews see the cobalt blue water its time to put the teasers and Ballyhoo out and start catching fish! Sailfish are very abundant and catch and release of up to 15 a day per boat is not uncommon. Marlin are always looking for a meal and can come up and smash baits for unbelievable action! These guys are tough, some taking over 3 hours to land. Dorado, Yellowfin Tuna and an occasional Wahoo can make for a wild day fishing in Quepos. From November to May the Pacific Sailfish numbers increase and days of landing 12 fish or more are common. Blue Marlin are the most common marlin species. Peak season in November & December as well as March & April. Black Marlin are most abundant in July & August and few Striped Marlin are also around then. January through May and very abundant November and December. Not abundant, but an occasional Wahoo may be taken any time between May and October while trolling for sailfish. 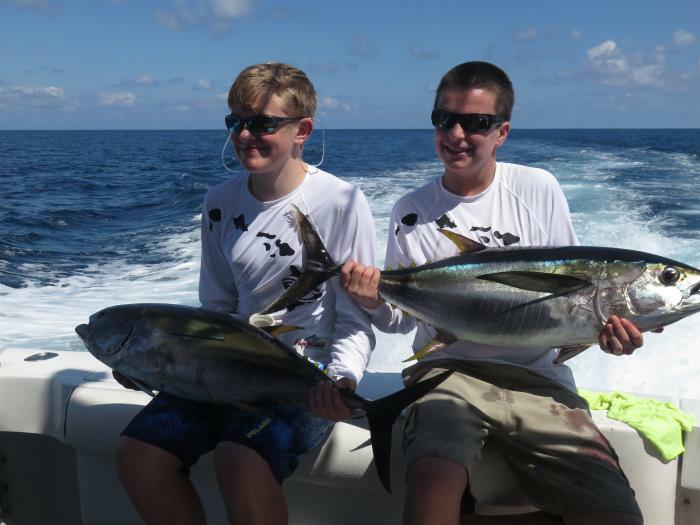 Yellowfin range in size from football size to 300 pounds peak in schools in July and August and November and December. Many anglers fishing in Quepos like to have options for what species they want to target. Reef and bottom fishing can be a whole lot of fun. Catches of big Snapper and giant Grouper can be double digits real fast. Kids seem to love it the most as you are not trolling around waiting for Bill fish to hit the teasers. Rigged with ether live bait or Jig and Spoons on light tackle with braided line you can catch some real monsters. Furuno Reef is located 31 miles out from Marina Pez Vela. This is where some crazy fishing action can happen. Like a perfect storm many fish seem to form on the bottom but also on the top. Marlin and lots of Sails seem to love this spot as well. The Broomtail Grouper is a bottom feeder, and with weights ranging between 30lbs to 80lbs, these fish are quite capable of putting up a ferocious fight. Like all grouper species, they are delicious eating. The best time to target them is November to August.